Where is the maxillary sinus? Where is the inferior mandibular nerve? Where is the location of the mental nerve? Are there any major blood vessels near the implant site? How thick is the bone? What is the height? What type of bone density we have? Is there any tooth near the implant site? Is the oral cavity clean? What is the type of vascularity of the bone or What kind of vascularity is the bone? Is there a vascularity? Is it high, middle or minor? How do or how can we measure it? And why do I ask these questions? In order to understand me better please first read the text “Bone Quality Assessment for Dental Implants” – by Ayse Gulsahi, Baskent University Faculty of Dentistry, Ankara, Turkey (http://cdn.intechopen.com/pdfs-wm/21562.pdf) from especially the paragraph 2.2.2 and 2.2.3. In those paragraphs Dr. Gulsahi explains in a remarkable way the assessment of bone quality and bone quantity. In practice my experience taught me that when we have D1 or sometimes D2 quality of bone I have implant failures. And, I asked myself: why is this happening? 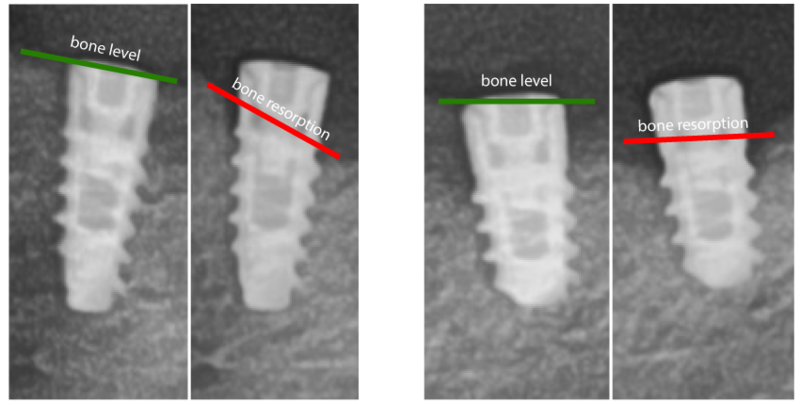 I have great bone density, great primary stability, great dm and length of an implant but I have minor or major bone resorption that sometimes results failure! Second important issue is the SURFACE PRESSURE of the implant done to the bone by condensing force. 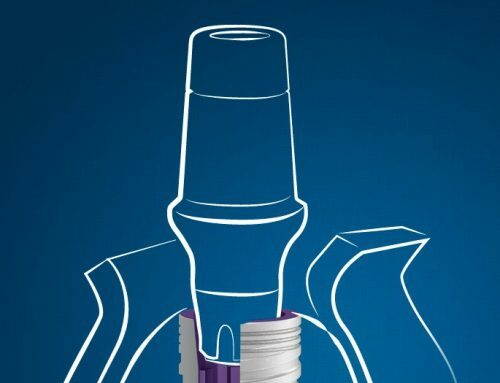 YES, there are very fine treated dental implants, with great geometry forms, we have even tools to measure the implant stability, but the main question is: How can we measure the exact condensing pressure applied from the implant on the surface of the bone? And why do I ask this question? 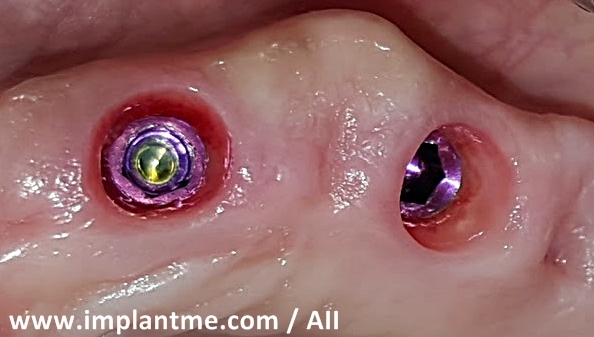 Well, my experience taught me that when we have D1 or sometimes D2 bone and we drill and make the implant alveola many times I haven’t seen (macroscopic) any bleeding. When I have inserted the implant the torque force was greater than 70 Ncm. After the first post op followed at 1-2 months I had resorption of the bone 1-2 mm (as you can see in the x-rays below). 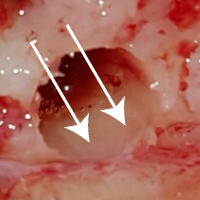 So, another question jumps in immediately: How can we be sure that, when having great condensing force applied by the implant, we do not do mechanical hemostasis by pushing and closing the micro blood vessels inside the implant alveola, i.e. at the implant-bone surface? 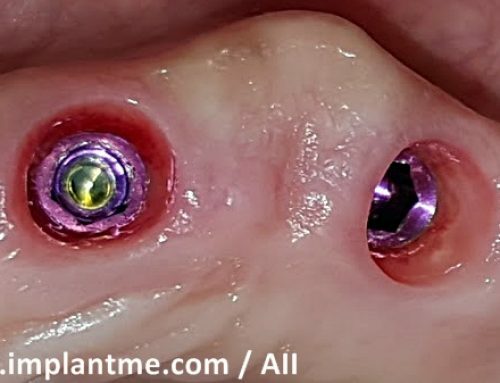 Third issue is when we have the combination as above described plus adding the irrigation solution while drilling the implant alveola the bone hemorrhage becomes even lower or stops. Fourth issue is the use of hydrophobic dental implants. The name says it all, i.e. I will not even try to explain it. So, practically, in order to solve my problem and to experiment with the low amount of bone hemorrhage, I started to take with syringe and needle blood coming from the surrounding area or tissues and apply it into the implant alveola. 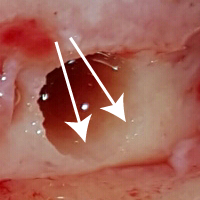 Additionally, before placing the implant into the drilled implant alveola, I submerge the implant into blood. What happened? 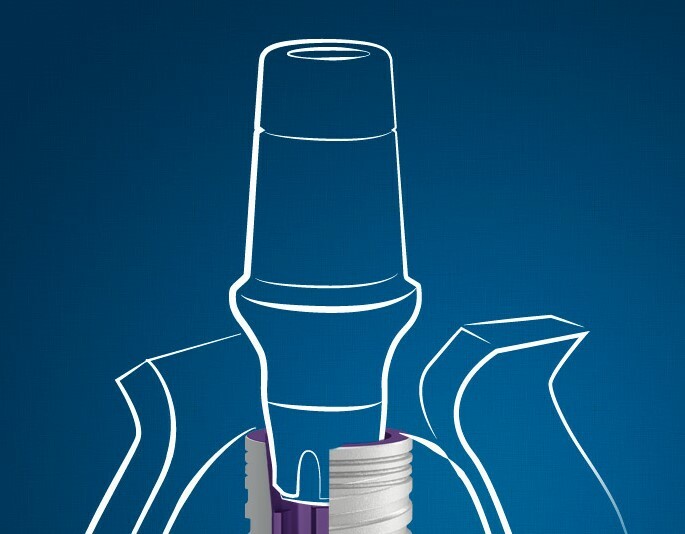 The amount of bone resorption was reduced and implant failures were becoming rare. In order to find some answers or to share my experience I asked the following question: How do you measure the vascularity of the bone? – to several dentists, hematologists, radiologists and orthopedics in my country and around the world. Some of them answered immediately, and some, until today, NOT. WHY? Well, simply because there is NO WAY! Where there is NO Blood there is NO connection!